Mascari tries his first Cracker Barrel. 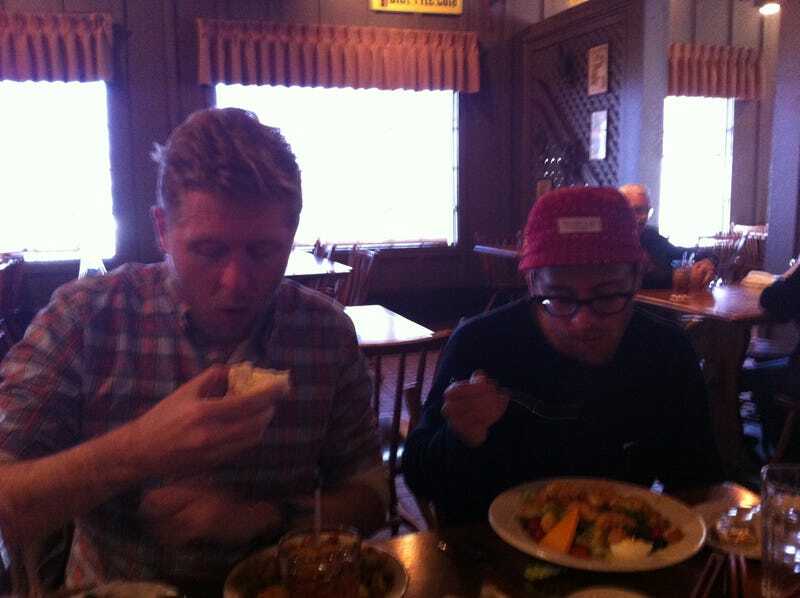 Mascari tries his first Cracker Barrel. Chicken livers are delicious. We'll see you all in Peachtree City tonight at 8:00 PM. Travis might be a little late as he's in Charlotte waiting for the Viper. But we'll be there and we hear Rutledge Wood might bring something special, weather permitting. Plus the Gizmodo guys have a sneak preview of the new show.